and at most a vibrant life in District 5 of Ho Chi Minh City. Binh Tay Market is the central market of Cho Lon, the Chinese district in Saigon. The market was built in 1928 as per western architecture but with bold Chinese influence. It has a high rise tower and four clock faces. 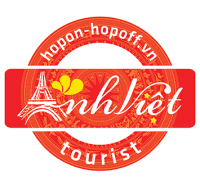 It is the largest and also the oldest market in Ho Chi Minh City, spanning four blocks. Chinese are good at doing business. The new market was built by a Chinese businessman after the old location burned to the ground. A memorial to the founder is still present today. In the center of the market stands a statue of Guo Dam. Market operates around 2-3 am and 9-10 pm, business specialist wholesaler with the lowest possible prices. In addition to the small business to the place of business, market annually welcome many foreign tourists sightseeing and shopping. Kim Bien Market is an old market located in the Chinatown, was set up in the 1960s in District 5. At first the market organized activities to exchange and sell foreign currencies and commodities used in the army. After Reunification Day on April 30, 1975, traders had to hire a stall in the market to sell commodities such as telephone accessories, computers, sunglasses, cosmetics, toys, labor protective clothing and chemicals used in industry and food processing. It was reconstructed at the end of 2006. There are many electrical appliances and electronics, cosmetics and clothing stalls here. Furthermore, the vendors are very friendly and the price range is reasonable as well.